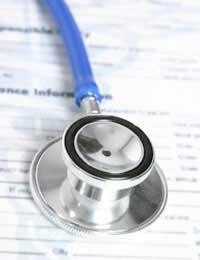 Private medical treatment in the UK is available to anyone who has a private medical insurance policy. This cover may be provided as part of an employer’s package, or it may be paid for directly by you. If you started a policy some time before your illness, your insurers are likely to agree to pay for the treatment you need. If you develop an illness and want to opt for private care, it is unlikely that you can purchase a private insurance policy and then use it straight away, although this varies between different insurers. It is always worth asking what the conditions of having a policy are. If you can’t get private medical insurance, or you don’t want to take out cover but just decide to pay for a course of treatment as a one-off, self pay allows you to do that. You attend the private hospital of your choice, choose a surgeon or physician, and arrange your appointments and treatments in the usual way. You may be asked to pay in stages, or by a deposit and final bill at the end of your treatment. Why Opt for Self Pay Private Treatment? Although as many as 7 million people in the UK have private medical insurance, most of us do not. Although waiting times in the National Health Service have improved in recent years, some procedures such as joint replacements still have a long waiting list. As arthritis is painful and stops you getting around, such a wait can cause real problems if you are still working or if you live alone. Opting for self pay private medical treatment means a far shorter waiting list, you have better continuity of care as you always see the same consultant, you get a private room and your visitors are freer to see you at a time to suit them. Car parking is less of a nightmare at private hospitals – and it’s always free, unlike in NHS hospitals. Normally, if you are seeking medical treatment in a private hospital and the procedure or investigation is going to be funded by a private medical insurance policy, you will need to be referred by your GP. If you are a self-pay patient and intend to fund the treatment out of your own pocket, you can make an appointment direct with the private hospital or clinic, effectively referring yourself for treatment. This is very convenient but it still may be advisable to get your GPs advice first. Sometimes people think they need a more extensive treatment than is necessary, and even a private appointment can cost around £200 - £300. If your GP agrees that you do need further investigations, or you definitely could benefit from a specific private treatment you can still self-refer – but with the blessing of your GP. When you first attend an appointment with a private consultant, he or she will outline the treatment that you need. This may involve further tests, surgery or other treatment, and after care and follow up appointments. Make sure that you get a full quote for the entire cost of the treatment, including all the appointments that you will need. This way you can compare prices between different clinics with greater accuracy and you can make sure you don’t get a much bigger bill than you were expecting once you have finished treatment. Remember that most hospitals will charge you the full cost of an appointment if you don’t turn up, or if you cancel within 24-72 hours. After seeing your GP for medical advice about the treatment you need, choosing your hospital and consultant, and getting an accurate quote for everything that is involved and making sure you can afford to pay, you can start the process and book your initial appointment. Once your treatment starts, you don’t want to be worrying about bills and money so it makes sense to transfer your savings into an account that is readily accessible later on. Where that money comes from varies from person to person. You may have been putting money aside in a regular savings account to pay for treatment should it become necessary, or you may decide to spend money you had been saving for a holiday or a car, deciding that your health comes first. Other people do sometimes take out a bank loan or put medical treatment on a credit card. For peace of mind, make sure that this is acceptable to your bank or card issuer, and take out extra payment insurance if necessary. If your recovery takes longer than you expect, you don’t want to have the added stress of not being able to make payments.